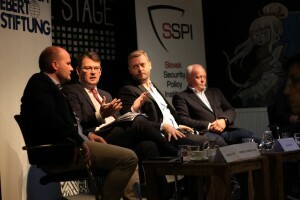 The Slovak Security Policy Institute in cooperation with Friedrich Ebert Foundation and Stratpol – Strategic Policy Institute organised expert discussion about the new Defence Strategy of the Slovak Republic. 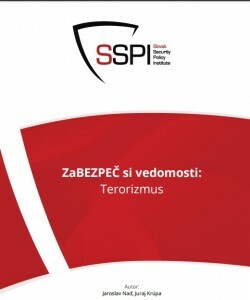 Invitation was accepted by representatives from the Ministry of Defence of the Slovak Republic, Armed Forces of the SR as well as representatives of diplomatic corps accredited to SR and representatives of the security and defence industry – ZBOP. The participants welcomed the new draft of the Defence Strategy presented by the Ministry of Defence of the SR which clearly defines the Euro-Atlantic orientation and priorities set in context of defence and security development of the SR and our membership in the EU and NATO. Conclusion of the discussion were recommendations presented by participants which should be introduced to the document before its finalization. The aim of such discussions is to discuss the preparation of strategic documents and therefore contribute to broader consensus among experts and bring closer the priorities and goals of Defence Strategy of the Slovak Republic to the public. Document with recommendation to the Defence Strategy of the Slovak Republic find here.